I am working on an invention to save lives, but I think it could make millions inside the USA. My greatest joy in life is when I am working on a new inventions. I keep thinking that it would be fun to have one or two patents before I die, just for kicks. 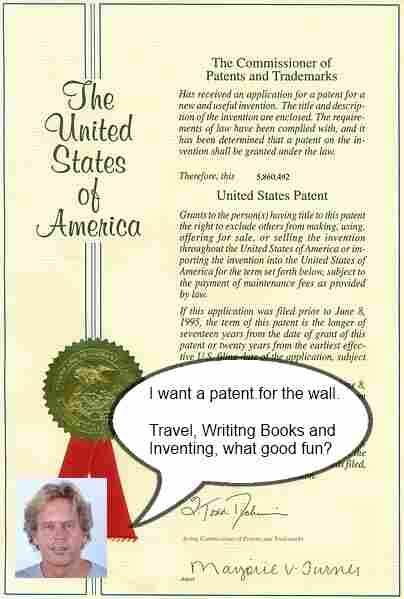 We are applying for a full patent, it is taking for ever. We got the patent pending right away.Pending will protect you a little. The worst thing is even with a patent you have to have the money to defend your patent, meaning be able to take anyone to court if they copy and sell it. A lawyer can tell you what kind of changes can need to be made to make the item different and another number. I hope our product has a too spotty market and cost for any one to copy. We are doing every thing our self. It is a lot of work but we are doing pretty good for only 2 years. Our web site is Rid-a-Rat.com We make a device that uses light technology to keep critters out of a cars engine so they don't chew or nest. Everything is made in America. We are still waiting for our full patent and we applied in January. We have had slogans already copied. We are also selling internationally now. I don't have a clue what an international patent would cost or what is involved. Many countries don't even recognize them. We make every thing here because Asia will copy everything. I think there is a lime limit that you have once you start selling your product and getting it patented. A lawyer should be able to tell you. Perhaps you could Google the answer.